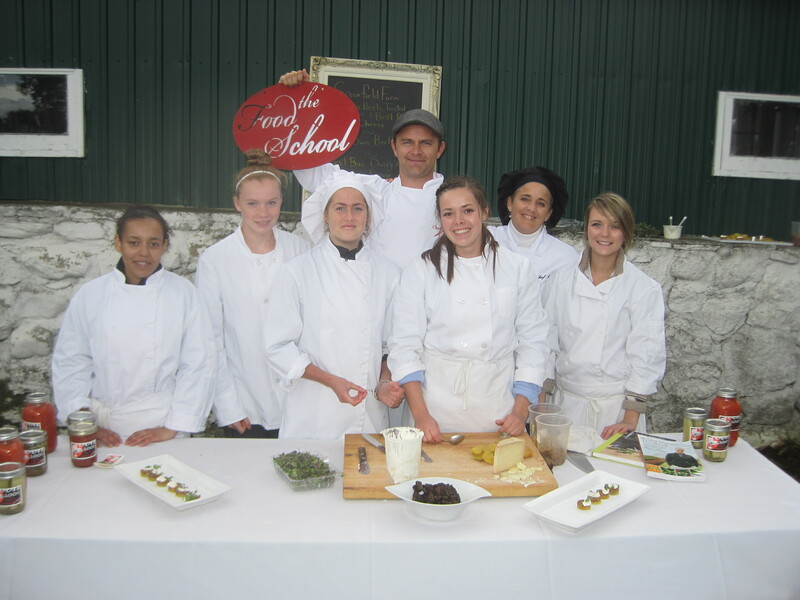 The Food School is a series of integrated courses in both, cooking food (kitchen), and growing food (farm) at Centre Wellington District High School. We endeavour to promote a vibrant and sustainable food system for our youth and for our community at large. We fully realize that 2/3rds of student meal times occur during the regular school day and we aim to capitalize on that fact by offering positive alternatives to the very real efforts that market ‘edible foodlike substances‘ to our youth*. The current chef instructors are Christopher Jess and Nicole DeBeyer. *4.2 billion dollars was spent advertising fast food to children in the U.S. (2yr – 18yr).